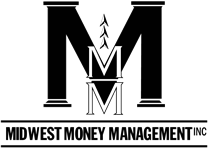 Investment Management Process | Midwest Money Management Inc. In general, we maintain a reasonably diversified portfolio within the scope of each model’s objective including the use of alternative asset classes such as commercial real estate. We do, however, also overweight sectors and assets classes that we believe to be in favor in the current market environment. Investment decisions are based on a variety of factors including fundamental analysis, market sentiment, trend analysis, and technical analysis. Monitor, implement, and update our model allocations on a regular basis. Especially during times of high volatility, we believe that it gives our clients additional comfort and confidence in their investments to know that someone is watching over and adjusting their allocations on a regular basis.